I develop software and hardware, and offer consulting. My creative expertise ranges from simple tools to complete turnkey solutions. Software development. As far as programming languages go, I am fluent in C, C++, Python, LaTeX, SQL, and the UNIX shell. Previously, I had also worked in Fortran, Scheme, and various dialects of assembly (MIPS, x86, ARM, 68000, PDP-11). I am familiar with various frameworks and toolkits, including but not limited to: OpenMP, OpenCL, pthreads, LLVM, OpenGL, GLUT, SDL, FLTK, FUSE, Flask, SQLite, … On occasion, I have also written my own programming languages (and domain-specific languages) to improve various projects. I enjoy system programming and optimizing code. System administration. Over the years, I have also gained experience in administrating various operating systems. My favorite is IRIX (a UNIX variant for Silicon Graphics machines), which I had used extensively as my daily operating system for over 5 years. Nowadays, I use Mac OS X and Xubuntu on the desktop, and Debian Linux on my server. I can perform various sysadmin tasks, such as setting-up services (Nginx, HAProxy, Courier MTA, OpenVPN, PostgreSQL, …), automatic tape backups, software RAID, tuning a system for a particular task (this includes recompiling the kernel if necessary), etc. I've also set-up and maintained cloud infrastructure on Amazon Web Services, both manually, as well as using Terraform and Ansible. Hardware development. On the hardware side, I am mostly self-taught and can produce prototypes to solve specific problems. I am most familiar with designing low-speed (sub-40MHz) digital logic circuits, either with discrete 7400-series integrated circuits or with microcontrollers. I own a small CNC machine, which enables me to produce prototype circuit boards quickly. I've written and maintained a buildroot-like set of shell scripts for building fully-custom Linux distributions from scratch for specific embedded systems. I like writing lower-level software, such as firmware and drivers. I've also put together custom embedded turnkey systems for customers. Combining my other skills, I can also design and prototype a complete custom-made IoT platform, which involves making a simple hardware prototype, writing the software for it, writing the back-end server for it, and handling the server's deployment on AWS or another cloud provider. Education. I have a BSc in Computer Science (ISCED level 7) from the University of Ljubljana, Slovenia. My BSc thesis received a faculty award. Hobbies. In my spare time I enjoy reading books, disassembling hardware to see how it works (as well as repairing hardware at the electronics level), collecting interesting hardware, and travelling. You can see an overview of my recent personal projects in the section below. More information about each project will be added soon. 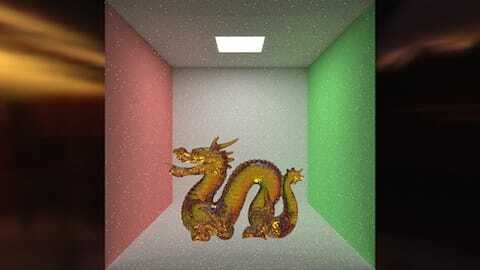 Multi-threaded Monte Carlo path tracer with anti-aliasing (via super- and sub-sampling), tone mapping, environment mapping, emitter sampling, spatial indexing (kd-tree, BIH, BVH), support for loading .OBJ models and generating scenes with custom Scheme scripts. 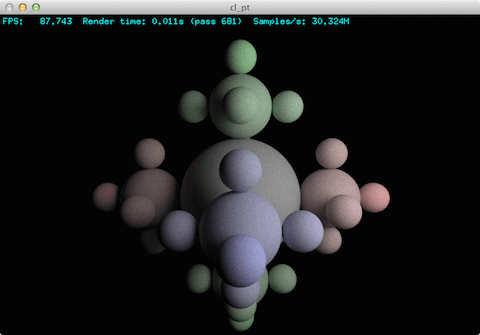 Small multi-threaded path tracer intended for benchmarking. 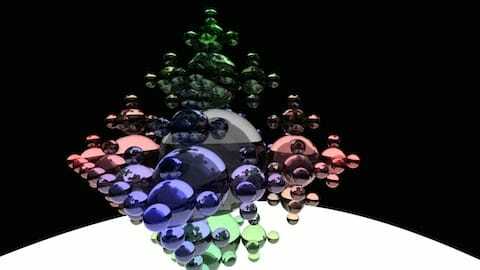 It can only render spheres, but supports anti-aliasing and tone mapping. Port of bench_pt to OpenCL. Operating system (inspired by UNIX V6) for multi-processor 64-bit x86 computers. 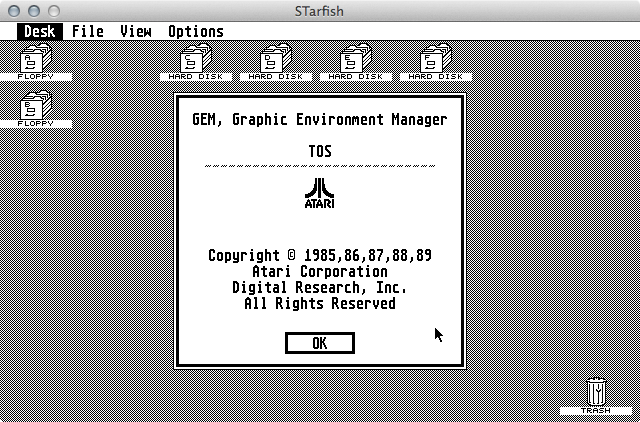 Emulator for the Atari ST line of computers, based on the Motorola 68000 processor. Utility that shows temperature and self-test history of SCSI hard drives (for the IRIX operating system). Also works with certain SATA/SAS drives on machines that have a SATA controller. User-friendly ramdisk driver for the IRIX operating system. Minimal background task queue for Python-based web apps, supports time and memory limiting of tasks. Tiny embeddable implementation of a strongly-typed case-sensitive Scheme dialect. Tiny in-memory compiler for a subset of C. Consists of about 1000 lines of code, runs on 32-bit x86 machines and requires no external dependencies. Tiny Python script that can plot a HPGL file over a simple serial port (by doing manual handshaking with the plotter). 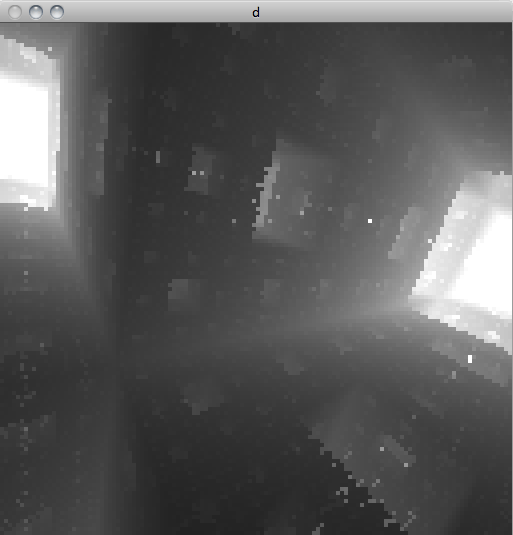 Port of Spongy, a 128-byte demo by TBC, to Mac OS X. Based on the Analog Devices AD586LN chip. 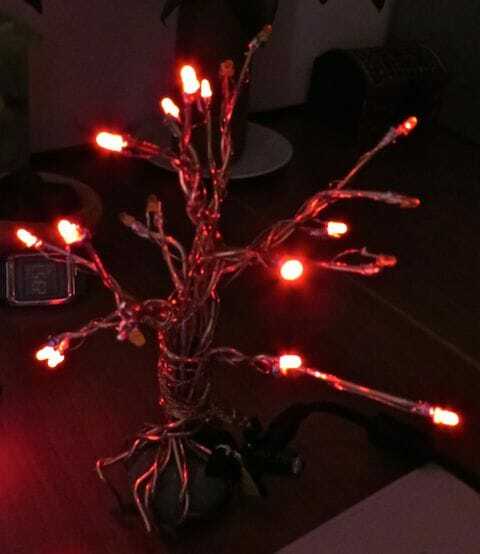 The LEDs on the ends of branches light up only when it's dark and vary their intensity according to how dark it is. Alarm clock based on the ИЛЦ5-4/7М vacuum fluorescent display and КР1016ВИ1 clock chip. A static RAM card for the HP-48 series graphing calculators. 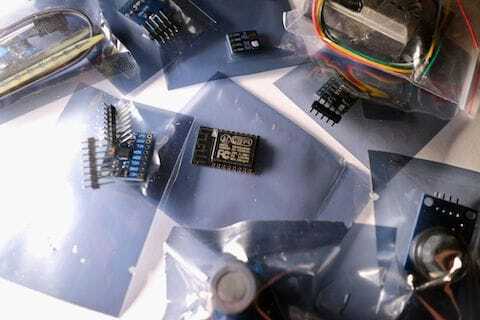 Using the ESP-12F WiFi module (based on the ESP8266 microcontroller) to provide real-time sensor readings. Currently, I have sensors for temperature, humidity, barometric pressure, acceleration, smoke, gas, dust, soil humidity, and illuminance (lux meter). Will be assembling this soon. The final goal is to create a multi-processor system out of these boards. 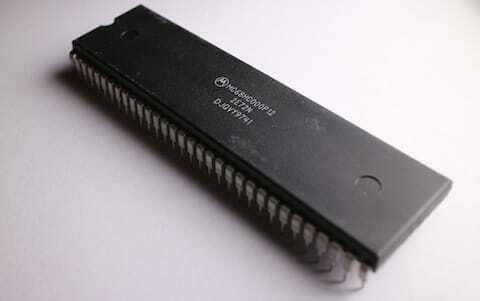 I will be using a clone of the Intel 8086 processor (КР1810ВМ86). Haven't decided yet whether to make it PC-compatible or not. Currently in the early planning stage. 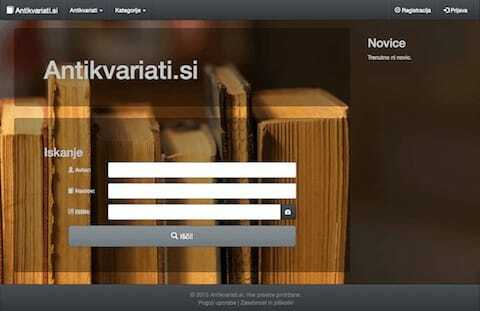 Search engine for finding books in antiquarian bookshops in Slovenia, as well as a platform for promoting reading culture. Finished, but sadly on hold, as this project is financially unsustainable to operate in the current book market climate in Slovenia.